Suitable for hanging in the wardrobe or putting in your clothes drawers to deter moths and keep your clothes sweetly fragranced. Can also be tucked inside your pillowcase to promote a sound, relaxing sleep. 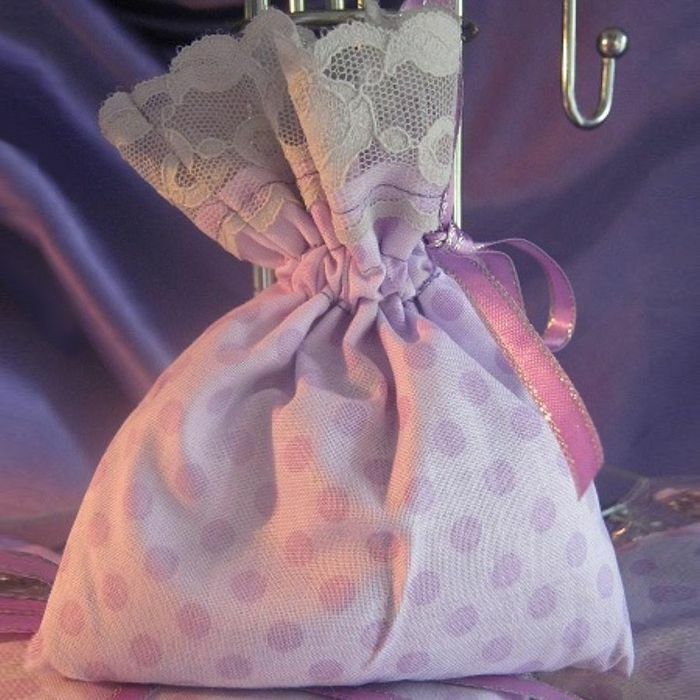 Made from cotton and lace fabric, filled with freshly dried lavender. Individually packaged in sealed cellophane bag to ensure freshness.